Mistake #1 – Length isn’t an issue. We just keep writing until we’ve covered everything. The problem with this is that your customers, or potential customers, have busy lives. 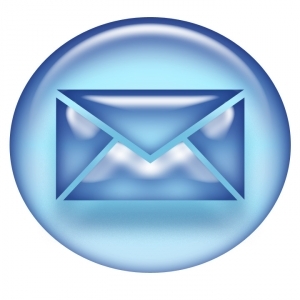 Short, sweet and to the point – that should be the key with email marketing. They don’t want length. They just want the information as quickly as possible. Mistake #2 – We just cover the topics we find most important. Your subscribers or potential clients see you as a source of information for a reason. If you haven’t taken a closer look at why they find your information important, it’s time to rethink things. You need to know why you’re writing and what you want the end result to be, then cover the topics that prove important to that. Sticking to just one topic per email can help with that too. Mistake #3 – We pay little attention to the subject line. Your subject line is the best way to either get opened or deleted in a hurry. Make sure you craft it carefully. You’ll want to avoid Spam triggers or those subject lines that just seem to go on forever. Be descriptive and stick to the actual subject of your email. One of the biggest problems smaller companies face is that they simply don’t have time to craft good email newsletters. Guess what? We can help you out with that. From creation to distribution, we’ll be happy to handle all of your email marketing right now. Contact us for more information.